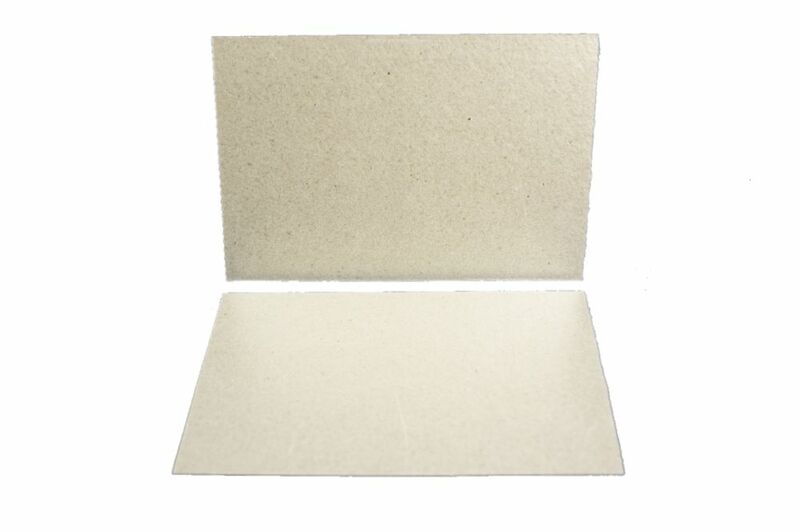 Pack of two waveguide cover repair sheets (mica) 150mm by 100mm. Simply use your old waveguide cover as a template, mark the new one out with a pencil, and cut a new one. Items I received were as described. Excellent service and postage. My order was only for a few pounds (mica sheets for microwave) but I received it VERY fast. It was well packaged with full instructions, my microwave is now in full working order again. Thanks. Once fitted they do the job! Very simple solution to a potentially expensive problem. Excellent, we even have a spare now! First Class service. The mica sheet in my microwave had split - only 2 years old. Rang Tesco who were totally unhelpful & suggested only cure was new micro as could not be repaired. Found this site on internet. Simply superb & their website question & answer pages are so helpful Many thanks. Cost me less than £5 and now have perfect micro with a spare mica sheet if I have a further problem. Thank you.